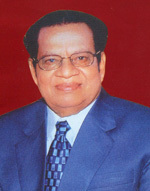 Service to the poor is the Service to God, In the smile of the poor is the presence of the divinity all these are the sound philosophy and the governing principle of the our founder and chairman who established ARUN COLLEGE OF EDUCATION in the campus of Adaikalamatha Educational Health and Charitable Trust Arun Nagar, Vallam Thanjavur (Dt). The founder of the Trust is a great Philanthropist. He is a dynamic educationalist and social worker his aim is to promote educationally backward and Professionally downtrodden section of the society.